Savannah Morning News interviews Savannah Baroque founder Anne Acker on the ensemble’s successful first year, the program for Le Donne in Musica on May 13, and plans for the future. After just one year of existence, Savannah Baroque is going strong. 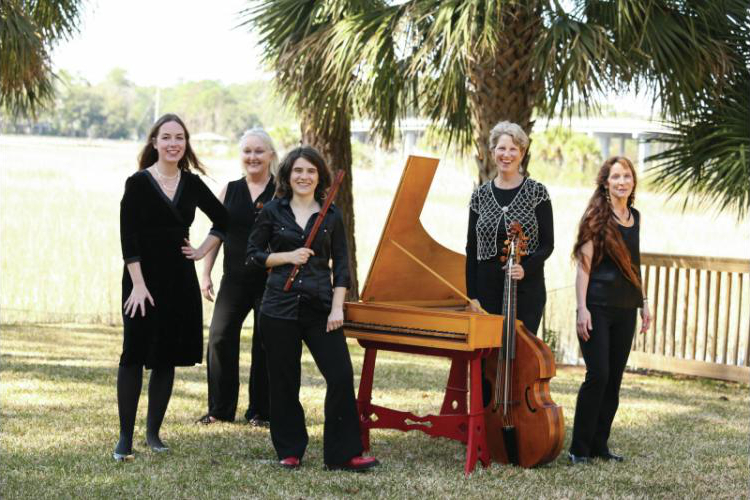 The area’s only ensemble specializing in baroque music performed on period instruments by a historically informed ensemble, Savannah Baroque is celebrating May 13 with two performances of “Le Donne in Musica” at St. John’s Church. “That basically means women in music,” founder Anne Acker says. “It’s a celebration of women that’s being presented on Mother’s Day weekend. “We are including music by women, music in praise of women, the types of songs women were singing back in the day in theater and in parlors and pieces which celebrate the female voice. The selections will include music written by Elizabeth Jacquet de la Guerre, Isabella Leonarda, Thomas Arne, Handel, Titelouze, Heredia and William Byrd. The ensemble was a long-held dream of Acker’s. “This will be our one-year anniversary of our first performance,” she says. “Things have been going very well. “We’ve done a little touring. We were in Greenville last week and we’re going to be in St. Augustine performing at the cathedral. Savannah Baroque was a hit in Greenville. Performing in the upcoming concert are Acker on harpsichord, Marcy Jean Brenner on viola da gamba, Ann Cafferty on baroque violin, Jeana Melilli on traverso and soprano Ashley Adams Roper. “A lot of baroque music is based on dances,” Acker says. “Dancing was always a very important part of music. “A lot of the dances came out of the countryside. Then they moved to the courts and got more formalized. Something new will be apparent in upcoming concerts. The works to be performed are quite varied. “I never perform things I don’t love,” Acker says. “We’re doing an ancient Spanish music ode to Mary and one of the oldest tunes we know, ‘Ave Maria Stella,’ from the 16th century. “We move into the Elizabethan period, then we go to a piece by Isabella Leonarda, which is early 17th-century Italian. It is set in a convent, which was the best place for a woman to thrive in those times. We did one of her works at our last concert. Included is a set of pieces which might have been sung in parlors. “Thomas Arne wrote songs from Shakespeare plays that were very popular in the early days of Savannah,” Acker says. “There are three pieces written by women and the rest in honor of women. We are finishing with a fabulous Handel song that will include everyone. “I really believe in programming. It has to tell a story, have themes so everybody’s oriented, so it makes sense. Where: St. John’s Church, 1 W. Macon St.